WordPress is regarded as the most popular content management system around the online world. Developed with the help of PHP and powered by the commonly implemented MySQL databases, it continues to be used by an astonishing 8.5% of websites around the Internet. Website cracking and malware delivered through websites are becoming a common phenomenon. Moreover, with such a large volume of web content implementing WordPress as the popular CMS, any form of secret vulnerability in its coding or framework could lead to millions of websites getting affected. Website cracking and malware delivered through websites are becoming a common phenomenon. Moreover, with such a large volume of web content implementing WordPress as the popular CMS, any form of secret vulnerability in its coding or framework could lead to millions of websites getting affected. 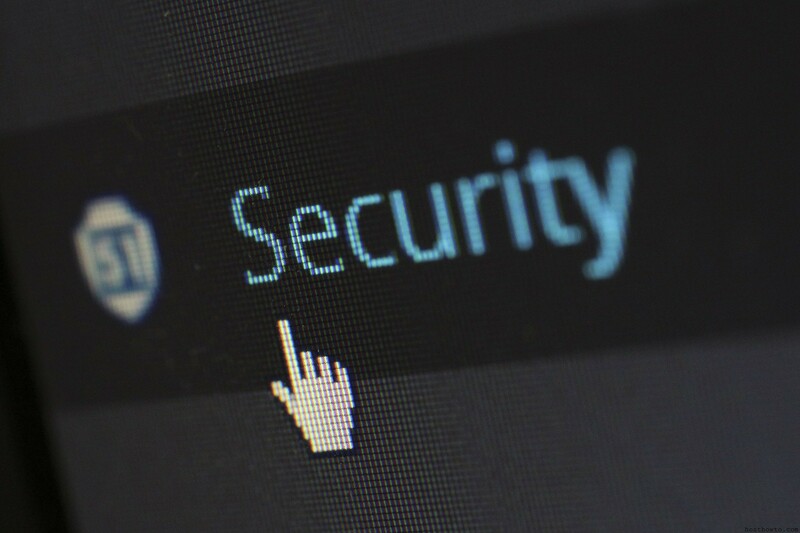 Here are nine of the best tips that will help protect your WordPress website from cracking and malware, and not necessarily require you to have deep knowledge of security. First of all ensure that any and all of the web servers and computers you make use of are kept secure in a proper manner. Make sure that you’re working with the most recent release of your preferred web browser and also see to it that it is configured for an automatic patch. Take the same steps for your operating systems and antivirus software. Every authentication vector that you use should have secure passwords that need to be changed frequently. Scan your computers frequently to check for malware. Leaving any security holes outside of WordPress- in the associated software or hardware- can in turn lead to the CMS itself being affected. It would be really sad to create a really secure password for the admin account of your WordPress site and then have a keylogger break through all your hard work and endeavour. The next step involves making sure that you are always working with the latest version of WordPress. It is a relatively easy and quick procedure to update this CMS tool and can be done through the WordPress panel in your web browser. If you find the latest version to be incompatible with the mySQL and PHP versions of your web host or web server, it is strongly recommended that you upgrade them before WordPress becomes compatible. The obsolete versions won’t have the necessary security patches, much in the same manner as older OS versions are going out of use. This also very important making sure that you are always working with the latest version of plugins and themes. plugins and themes installed on your site is like a backdoor into your site’s admin , Unless properly secured , updated regularly. you can easily update the latest version of plugins and themes by login WordPress admin area. Delete Permanently unnecessary plugins or themes that you’re not using , simple Deactivating plugins or themes is not a good way. If you’re not using them then better idea to delete them. If you ever come across security vulnerabilities on your own, do the WordPress community a favour by sending a detailed email to the following address: [email protected]. If you find the vulnerability associated with a plugin send the relevant email to [email protected]. You would want all other WordPress developers to report the loopholes that may unwantedly affect your website so treat the others in the same manner in which you would want to be treated! However, it is best that you avoid writing anything about these vulnerabilities anywhere on web forums or social networking sites, just to ensure that they don’t end up in the wrong hands and inconvenience others. From time to time, run the Exploit Scanner plug-in so as to weed out any indications of possible malicious activities. While this plug-in will not repair any issues directly it will let you troubleshoot with a detailed log. If you feel suspicious about possible instances of cracking that would be an ideal time to run the plug-in as well. By ensuring the security of your WordPress website you are doing your bit to prevent malicious activity from harming the websites and web servers, as well as the devices of the users. While undertaking a maintenance of your website it is important that you always stay security minded. This will give you proper control over your web content and also allows you to do your bit towards making the Internet a better place to stay in. Using an administrator to post content- It is important to disguise one’s identity as an administrator when one is posting content. It is best to use the administrator account for only backend work. This can be done by creating a separate account as a contributor. Maintaining ‘admin’ as an administrator- It is by the development logic that WordPress creates the admin username and assigns it to an administrator. This makes the technology extremely predictable and lends ways of hacking a site. No one would have ever thought that such a small setting issue can create causes for grave mistakes and hence, while Hire WordPress Developer, an enterprise should carefully asses his knowledge level about both the best practices and the bad practices in WordPress development. Using ‘ wp_’ as a prefix for the table– WordPress powers more than 75 million sites that has tables with default names that start with ‘wp_’. It becomes easier for anyone to hack the site. It is important to change the table prefix during installation. Offering no backup- It is fact that nothing is 100% secure in this world. So the effort should be to constantly update and implement tighter security measures. Applications like Bluehost, VaultPress and BackWPup offer different ways of implementing security measures in different stages of implementation. Providing insufficient tags for too many categories- This is an issue of site architecture. Tagging is an important aspect that impacts every aspect of website right from SEO to loading time to visitor time. It is very important to balance out multiple categories with tags. Main navigation should have tags along with its other components. This breaks the popular misconception that main navigation cannot have tags. Forgetting WordPress updates- Well ignoring updates can be one of the greatest flaws in development. The open source community of developers works tirelessly to improve the quality of UI and overall efficiency of the CMS. So one should not miss any update that one periodically gets. The only way to implement it is to know how each of the new developments can contribute to the value of the CMS. The value of this update can only be understood by a seasoned developer. So if an enterprise wants to continuously add new features to the existing WordPress website, then it has to hire a seasoned WordPress developer. I have read whole article and see it contains step by step and point based guidelines to enhance WordPress website security. I really recommend it for every website admin to follow these instructions and make their site more secure. Thanks goes to writer of the article for writing such an effective article. Helpful publication for webmaster those are concern about their website security. Waiting for new stuff.